A senior North Korean official made a rare visit to the United States today for talks about a possible summit between the leaders of the two countries but the sides appeared far apart on the central issue of Pyongyang’s nuclear weapons, as Reuters reports. Dive Deeper: Listen to CSIS’s new podcast, The Impossible State, featuring a conversation with Sue Mi Terry. The latest episode, “The Summit Saga Continues” is available on Apple Podcasts or SoundCloud. You can also read the transcript of the discussion. “What Would Denuclearization Look Like in North Korea?” an interview with Melissa Hahham of the James Martin Center for Nonproliferation Studies at the Middlebury Institute in Monterey by CFR. “'We’re Reaching the Climax of This Issue.' Korea Expert Victor Cha on the Prospects of Peace on the Peninsula,” from TIME. The U.S. military today renamed its Pacific Command the U.S. Indo-Pacific Command, in a largely symbolic move underscoring the growing importance of India to the Pentagon, as Defense News’ Tara Copp reports . Dive Deeper: “The Strategic Importance of India's Rise,” by CSIS’s Rick Rossow. “The U.S. Indo-Pacific Strategy Needs More Indian Ocean,” by Alyssa Ayres. The White House’s renewed trade offensive against China is putting this weekend’s planned settlement talks at risk, as well as fueling nationalistic calls for China to take a tougher stance against U.S. demands, as the Wall Street Journal’s Lingling Wei and Yoko Kubota report. Dive Deeper: “Is Trump in a Trade War? An Up-to-Date Guide,” by the Peterson Institute's Chad Bown and Melina Kolb. Italy’s president has attempted to broker an eleventh-hour deal between the country’s two largest populist parties to avoid another destabilizing national election, helping Italian assets recover from a sell-off that rattled investors worldwide, as the FT’s James Politi and Chloe Cornish report . Dive Deeper: “Italy Heads for Confrontation with Itself, Financial Markets, and Europe,” by the Peterson Institute’s Jacob Funk Kirkegaard. Denuclearization of North Korea could take up to 15 years. Source: Stanford University’s Center for International Security and Cooperation . "Every flip-flop and U-turn is simply depleting and squandering [U.S.] credibility." 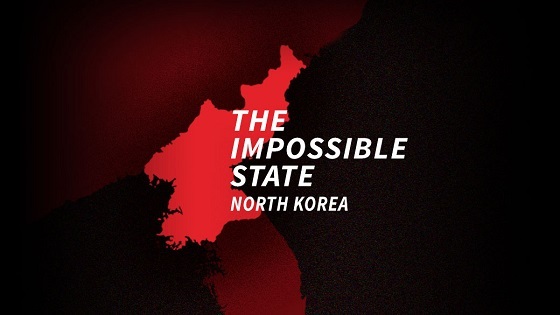 A new CSIS podcast, The Impossible State, features an insiders discussion on the United States’ top national security priority—North Korea. (Photo credit: Christophe Morin/Bloomberg/Getty Images). 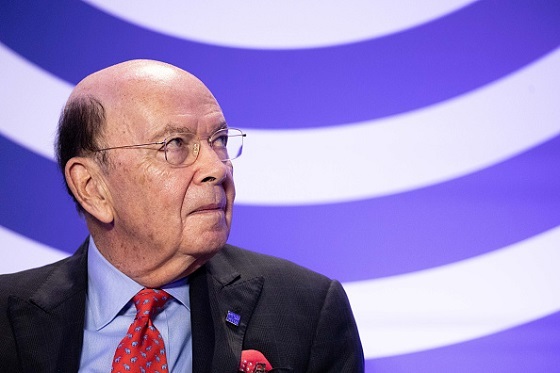 Commerce Secretary Wilbur Ross today during a panel discussion at the Organization for Economic Co-operation and Development (OECD) in Paris. Join CSIS at 9:00 a.m. for a discussion on the powers of the Committee on Foreign Investment in the United States (CFIUS), and its potential increase in scope if a bill on foreign investments passes Congress. At 5:00 p.m., join CSIS for a discussion with former Secretary of Defense Chuck Hagel on a new book, Our Year of War: Two Brothers, Vietnam, and a Nation Divided , by General Daniel P. Bolger. The book reveals the story of a family and a country during the most tumultuous and consequential year in the last half century. The CSIS Global Food Security Project explored the value of foreign assistance in the agricultural and nutrition sectors in a new video. Watch it here. On the latest episode of The Impossible State, CSIS’s Sue Mi Terry talks about the latest efforts by the Trump administration to revive the peace summit between President Trump and North Korean leader Kim Jong Un. Listen on Apple Podcasts and SoundCloud. I can’t believe that I have waited this long to play something by Sturgill Simpson in this space. And again, my cousins reminded me over Memorial Day of how great of an artist he is. Simpson just rolled through D.C. with Willie Nelson and I regret not catching the show. I also regret not going to meet Willie Nelson with my pal Bob Schieffer when Bob went down to Luck, Texas to visit with Willie last year. But who has time for regrets when you can get your toes tapping to barn burning music like this by Simpson.